(for PM2.5) Please use inquiry form. MFV-300 Please use inquiry form. 1Any soft materials such as plastics and rubber, as well as foods containing oil or moisture, can be easily ground. 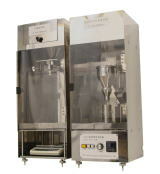 2By minimizing thermal alteration and oxidation during grinding, cryogenic grinding transforms materials into powder that retains their initial properties (such as a resin’s molecular structure or a food’s flavor). 3By optimally adjusting the grinding and temperature conditions, we can produce powders that satisfy various customer requirements. >>> This factory complies with hazard analysis critical control point (HACCP), designed with many innovations to prevent complex contamination (such as separation of general areas and clean areas). The factory is kept in a sanitary condition by implementing every possible measure to ensure an excellent level of hygiene. 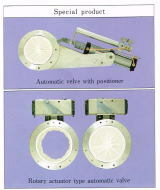 - Cryogenic grinding service brochure can be downloaded in Pdf file (2,878kb). Questionnaire is available at the bottom of this page. In order to assist you in testing and/or custom processing your material in USA, we need further detailed information on your material and material specifications. Please DOWNLOAD our Engineering Data Sheets(EDS for short) for our Testing and/or Custom Processing Services. Please complete the form as much detailed as possible and send this EDS to AAAmachine, Inc. by Fax at 1-847-376-3530. If you have any questions or are having difficulty filling out the EDS, please contact us and we will do our best to assist you. Once AAAmachine receives the completed EDS, we will recommend the best equipment for the job and prepare a service quotation to include an estimate for the time required to complete the service. For Questions please call: 1-800-996-0070, or contact us. AAAmachine, Inc's powder processing service provides testing and custom powder processing service that offers timely services in USA ranging from laboratory test, performance comparison, toll manufacturing and measuring analysis. AAAmachine, Inc. is able to produce large-scale toners by cooperating with partners/equipment manufacture in foreign countries. With its cutting-edge AAA rating powder processing technology, AAAmachine meets all the customers' needs. 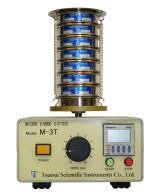 A world class powder measuring technology is also available. A world class precise measurements and an extraordinarily experienced and capable staff are the keys to the Company's success in this field.